Did you oooh and ahh at the fantastic gaming graphics that accompanied today's Apple keynote? You won't have to wait for next week's iOS 4.1 to get a taste of those textures for yourself. 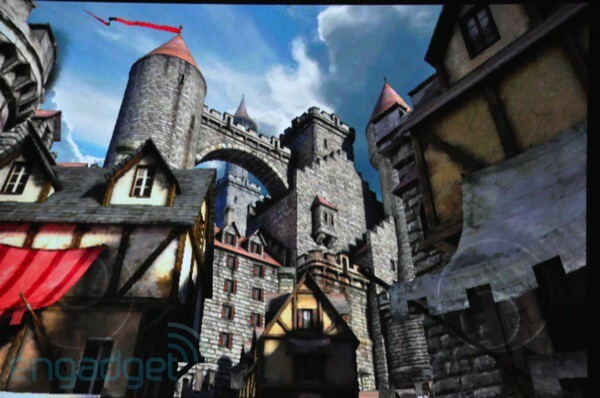 Though the full-on gladiator dueling of Epic's "Project Sword" may be a while off, you can get your hot little hands on "Epic Citadel" right now, a 82.2 megabyte download that explores a beautiful medieval castle town. Oh, and did we mention it's free? Even id Software's mindblowing 60FPS Rage demo must be quaking in its boots right about now.